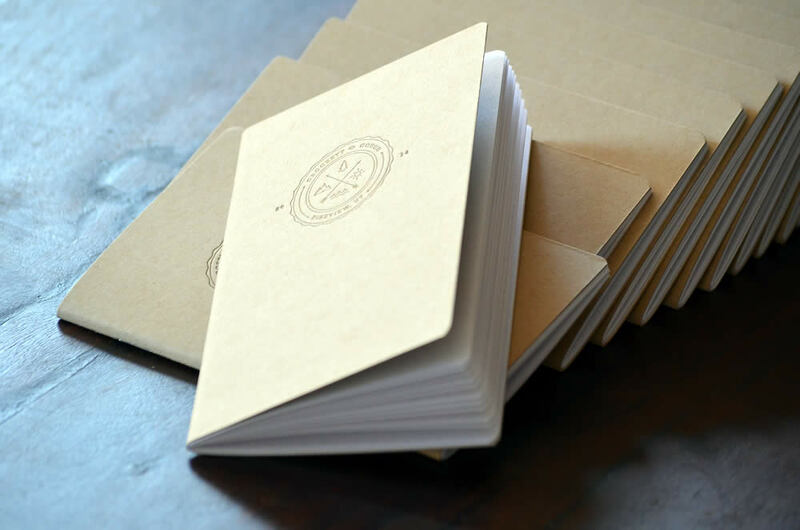 Our custom letterpressed notebooks are made right here in America with the finest paper and inks, and with a big dose of pride. They’re sure to impress your clients, employees, friends and really anyone with the good fortune of laying eyes on them. Ordering is easy—just choose your options for cover paper color, inside pages, ink color(s) and corner style, then upload your artwork files for front and/or back, and you’re all set. Size: 3″x3″ or smaller on each side, files should be vector-based (EPS, AI or PDF). Download a template here. If you would like our help in creating your artwork, just send us an email. 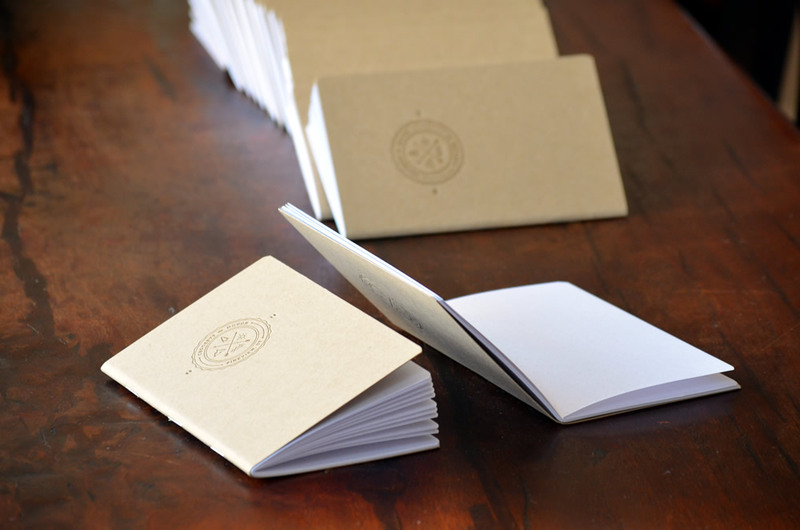 Our custom letterpressed notebooks are printed on the finest paper—French Paper Co’s Muscletone. Weighing in at a hefty 140 lbs., single-ply Muscletone is French’s heavyweight champ, and out go-to paper for notebook covers (and any other time you’re looking to impress). 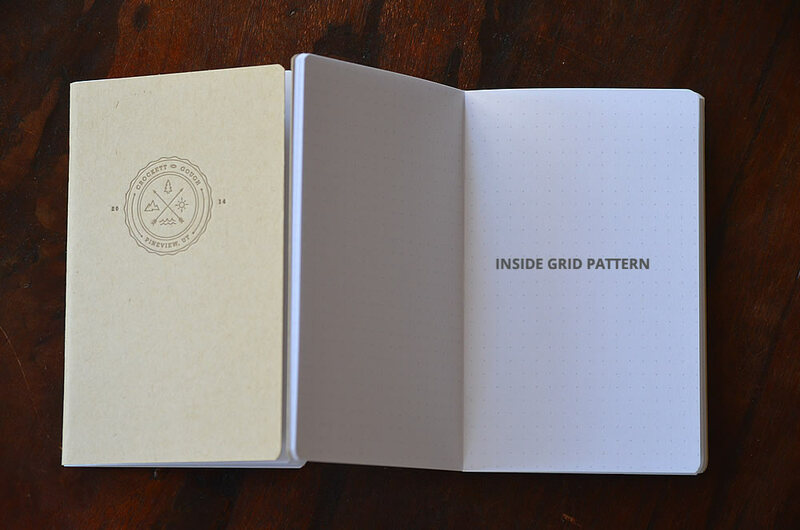 Each custom notebook is saddle stitched (bound in the middle) with three staples and contains 48 pages of blank, lined, or dot gridded paper. With a selection of paper colors, ink colors, corner options, inside page options and custom artwork, your notebooks will be one-of-a-kind and help you or your organization to stand out. 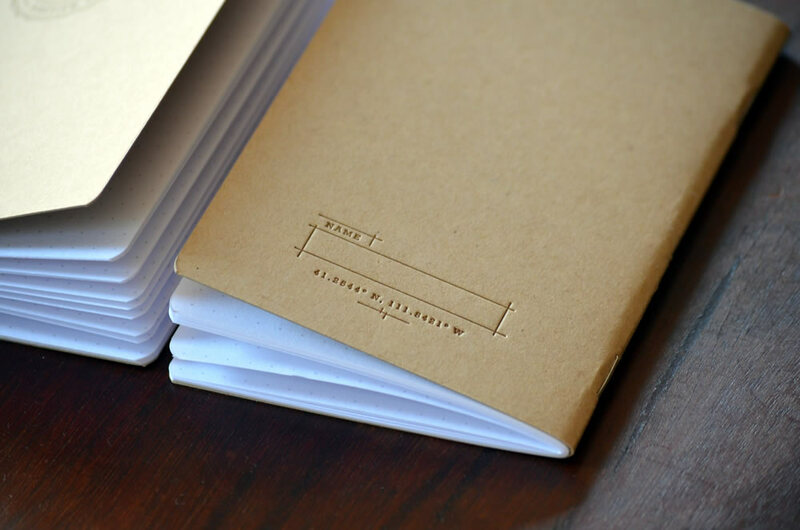 Custom Letterpress Notebooks make thoughtful birthday or Christmas gifts, company notebooks, leave-behinds, trade show handouts, seminar notebooks, youth event notebooks, party favors, family reunion gifts, and are the perfect item to mark an endless number of other special occasions.